Our mission is to add to the community of Nampa by starting a business that welcomes, nourishes, entertains and eventually becomes part of the family. We are committed to utilizing local resources as much as possible starting with how our business is built and furnished! 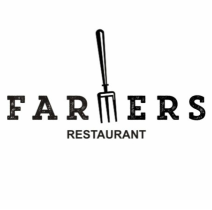 Farmers - the name we have chosen for our business- speaks to growing, community and stewardship. We value everything that makes our community great. Mark and Shannon Gadsby cut their first cucumber by starting a small cafe / coffee shop in beautiful Sun Peaks, BC. Through listening to their customers needs/wants and opening their hearts and minds to the small community, their business grew to become one of the most popular cafes at the resort. Shannon was born in Edmonton but moved with her family to Nampa at age five where she remained until age 18 when she left to go to college and finally landed in Kamloops, BC where she married Mark. Mark was born in Haney, BC and grew up in Kamloops, BC. They are both extremely excited to relocate back to be with Shannon's family.